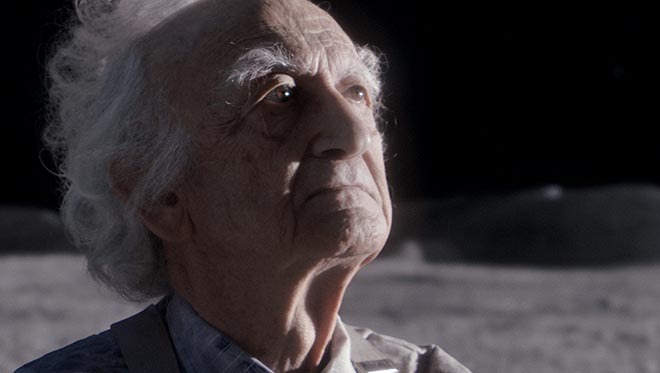 John Lewis has launched its 2015 Christmas advertising campaign – Man on The Moon, this year connecting Christmas sentiment with support for Age UK. 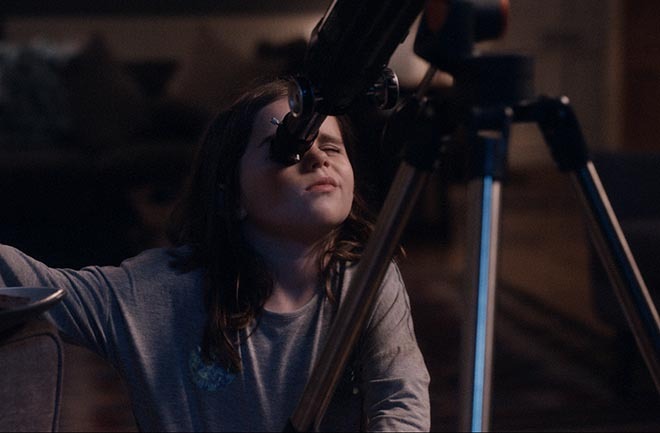 The Christmas advert tells the story of a little girl, Lily (six year old Orli), who discovers through her telescope a man living alone on the Moon (77-year-old French stage actor Jean). 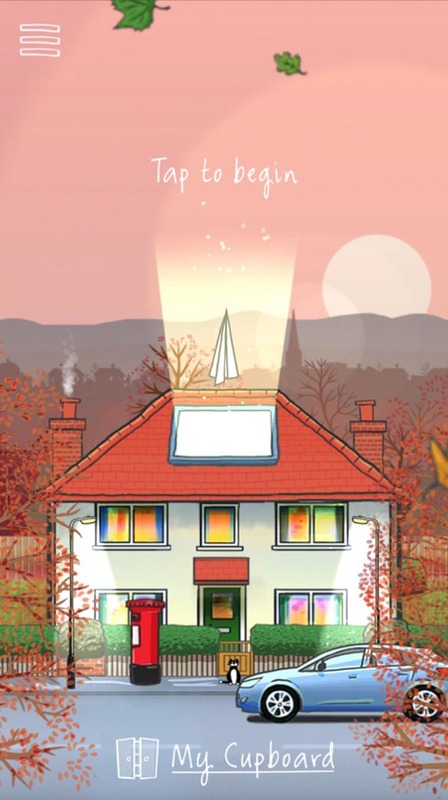 At its heart the narrative demonstrates the power of connection and thoughtfulness at Christmas – a time of great joy, but also a time when some might find themselves alone. 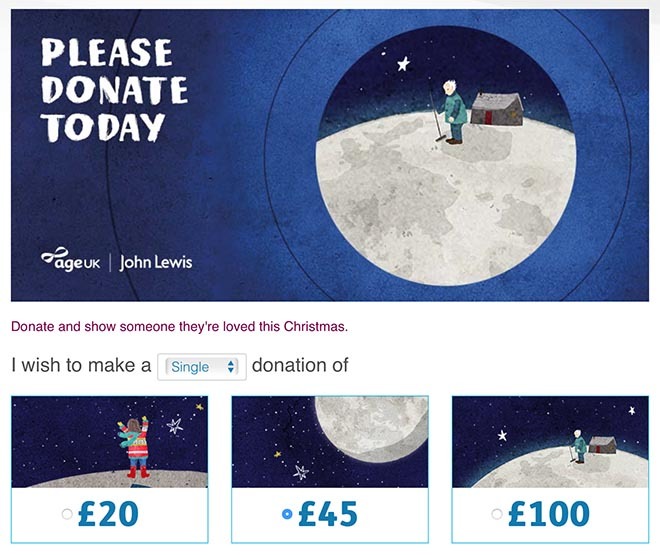 The advert ends with the strapline “Show someone they’re loved this Christmas”. 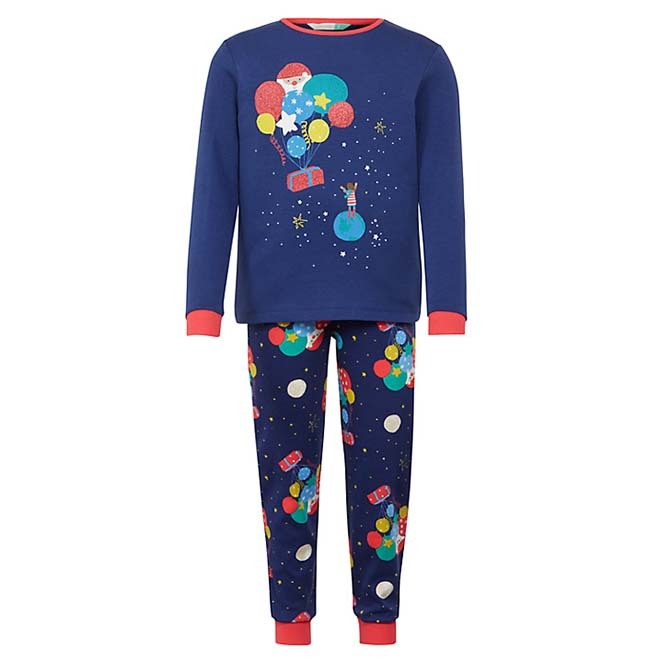 The John Lewis ads is set to the Oasis track ‘Half The World Away’, recorded by 19-year-old Norwegian music star, Aurora Aksnes. 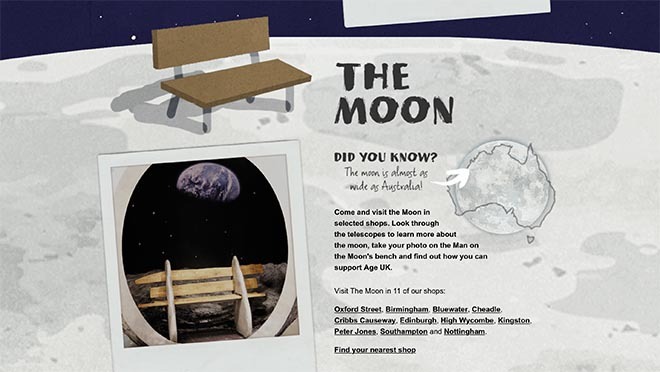 John Lewis is using moon pop-ups 11 shops to provide customers a chance to take photos with the moon back drop, learn about the moon and find out more about this Christmas’s Age UK partnership. John Lewis has ccreated a Man On The Moon App using augmented reality to bring the moon to life. 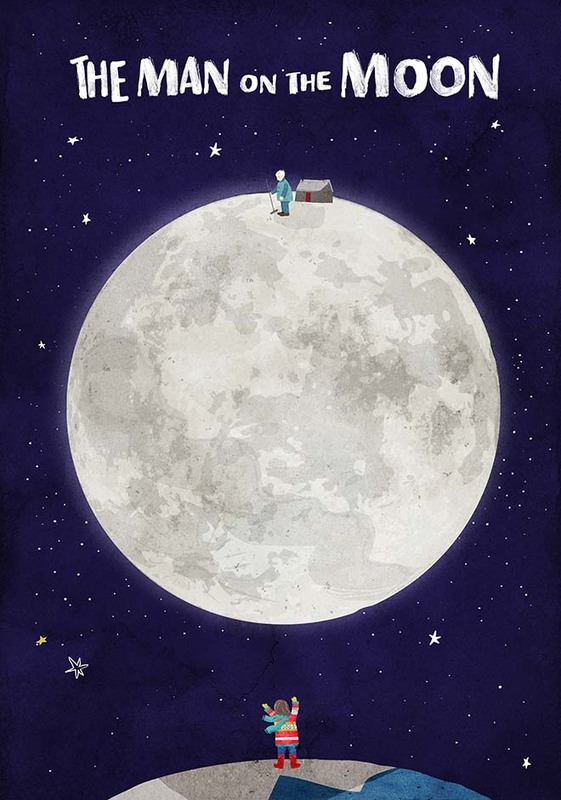 By pointing a phone at the Man on the Moon image found on posters, John Lewis shopping bags, click and collect boxes and many more places. 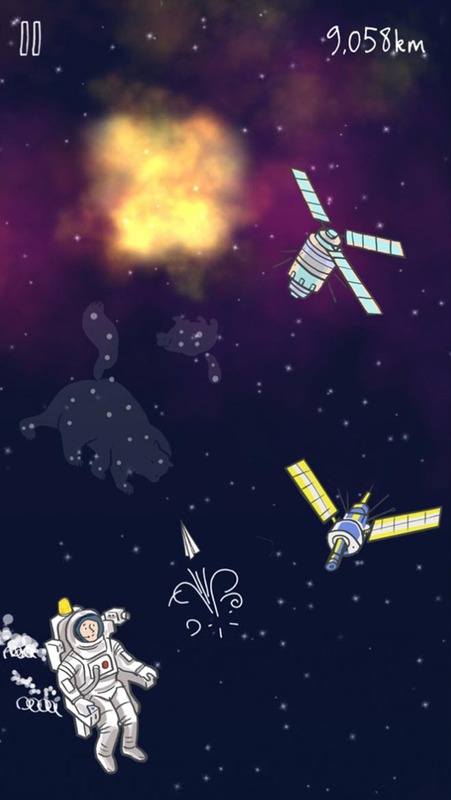 By holding the device up towards the moon itself, users can unlock a 3D interactive moon that releases daily facts and animations in the countdown to Christmas Day’s full moon. 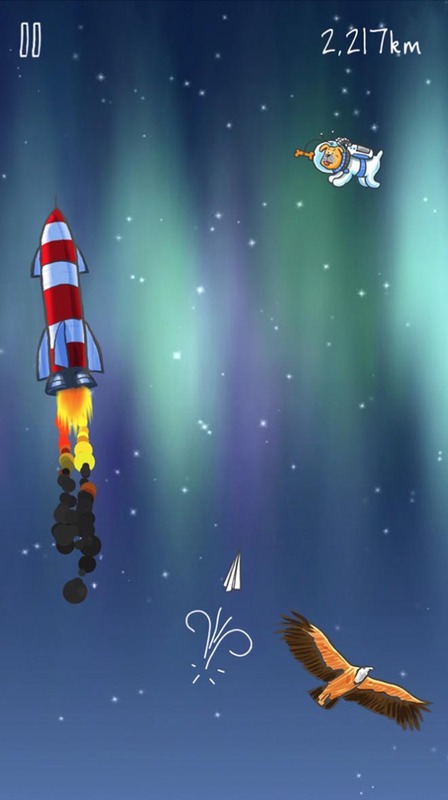 The app also features a Man on the Moon themed game in which the player has to avoid obstacles, and collect power ups in a bid to get a chosen object all the way up to the Man on the Moon. 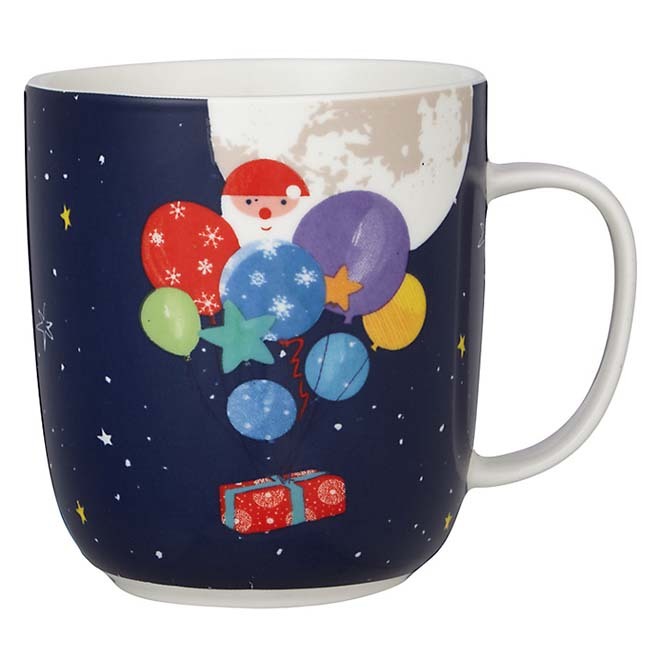 Spin-off merchandise includes Man in the Moon pyjamas, bedding and gourmet gifts, along with branded mugs and cards designed to raise funds for Age UK. 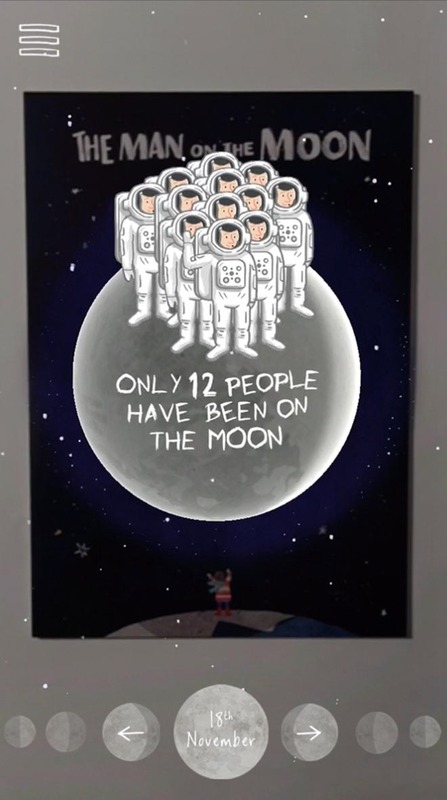 The John Lewis Man on the Moon ad was developed at Adam&EveDDB, London, by chief creative officer Ben Priest, executive creative directors Richard Brim and Ben Tollett, copywriter Miles Carter and art director Sophie Knox, agency producer Lucie Georgeson, assistant producer Brittany Littlewood, planner David Golding, managing director Tammy Einav, business director Miranda Hipwell, account director Caroline Grayson, working with AGE UK marketing director Esther Brand, head of brand Marianne Hewitt, customer director Craig Inglis and head of marketing (brand) Rachel Swift. Media was handled by Manning Gottlieb OMDKim Gehrig via Somesuch & Co with executive producer Lee Groombridge, director of photography Andre Chemetoff. Editor was Tom Lindsay at Trim. Post production was done at The Mill, London, by lead 2D artist Joe Tang, 2D assist Sole Martin, matte painting team Jiyoung Lee and Aurelien Ronceray, smoke artist David Wishart, colourist James Bamford, production team Gemma Humphries and George Reid. Audio post production was done at Factory. Music is Oasis track “Half The World Away”, sung by 19-year-old Norweigian singer, Aurora Aksnes, supervised at Leland Music by Abi Leland and Ed Bailie. Voiceover is by Dame Helen Mirren.